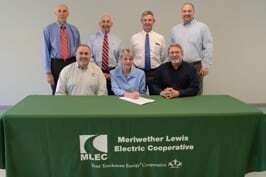 DCDL Media of Waverly is getting a little help from their friends at Meriwether Lewis Electric Cooperative in the form of a zero-interest loan to grow their services for Humphreys County. The loan is made possible by MLEC’s Revolving Loan Fund (RLF). Owned by Connie and Dean Duke, DCDL Media has been serving the area for several years. MLEC loan funds will be used to complete a project several years in the making to help insure quality emergency broadcasting for the citizens of Humphreys County using WQMV AM1060. With MLEC’s help, DCDL will purchase the FM license and equipment needed to communicate important news and safety information to area residents during emergency situations. As the loan is paid back over ten years, MLEC can loan it out again for other economic and community development projects. The RLF was established in 1996 with co-op funds and a grant from Rural Utilities Service. Since its inception, the RLF has awarded almost $846,000 in the MLEC service area and is in support of the cooperative’s goal to help local communities grow. Meriwether Lewis Electric Cooperative, your trusted source for safe, low-cost, reliable electricity, is non-profit and member owned, serving over 33,500 meters in Hickman, Houston, Humphreys, Lewis and Perry counties. 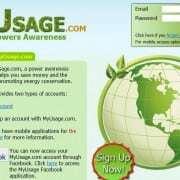 Visit www.mlec.com to learn more.